Edit design Chevron Sweater , or create your design from scratch. Create your custom chevron knit sweater. 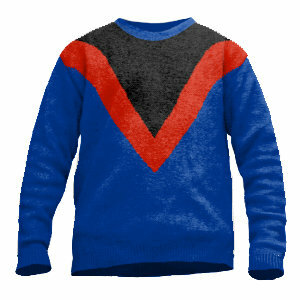 Women or man style, the design is knitted in. Custom slouchy knitwear to dress up in personal style. Perfect for your own wardrobe, or as a custom gift or present for your fashion victim friend.